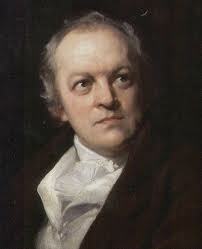 William Blake was not recognized for being one of the most original minds of his time until late in his life. For most of his life he lived in a London working-class neighborhood in relative obscurity. He and Robert Burns are considered to be forerunners to the Romantic movement because of the subject matter, themes, and style of their writing. They lived their lives unaffiliated with any literary group, working labor intensive jobs in obscurity. 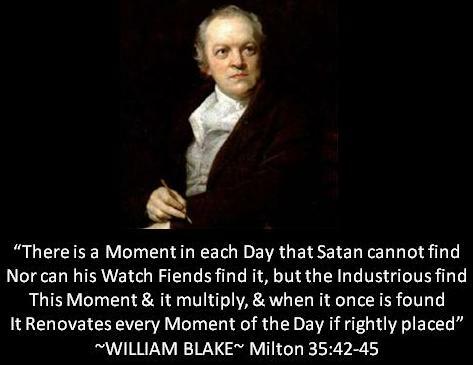 Blake is best known for his two books of poetry: Songs of Experience and Songs of Innocence. These poems demonstrate themes that link him with the Romantic Movement: Childlike Simplicity, Lyricism, and Visual Immediacy. His poems used childlike images, simplistic words, and repetition to convey complex ideas. His poetry also displays an intense personal quality that expresses emotion and feeling in his art and poetry. 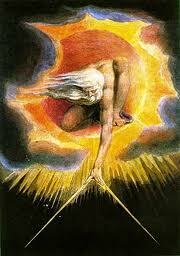 As well as being a poet, Blake was interested in becoming a painter. He went to drawing school and spent some time as an apprentice to an engraver. 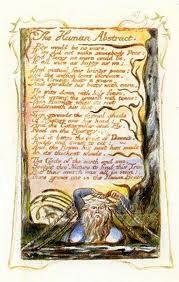 He created engravings to illustrate his poems and ideas. 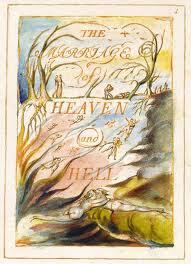 The central idea of Blake's writing was his idea of "contraries." He believed that is was necessary to experience opposites in life. A person should experience success and failure, pain and joy, prudence and excess. These contrary experiences were then necessary in order to understand life. 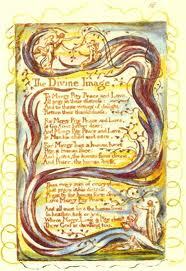 Blake demonstrated these ideas while writing Songs of Innocence and Songs of Experience. An individual would start out their life in naive innocence. As they lived, they would assimilate experience in order to experience the opposites of life. The result would be Organized Innocence. Organized Innocence transcended naive innocence or experience on their own, and it occurred when an individual experienced the contraries of life and was able to recreate the semblance of innocence while tempering it with the wisdom of experience. "Lamb" and "Tyger" are more about creation and the nature of the creator than the respective animals. The lamb and the tyger provide a symbolic starting point for the theological argument: who created us, and how could the same creator that made the lamb also make the tyger? It's the same theological debate that continues today: How could God create good and evil? Theologically speaking, we believe that God allowed evil to infect the world. He knew that Satan would fall, and he knew that Adam and Eve would sin; yet he still gave them a free will and provided a plan for salvation and redemption. Blake was still struggling with these ideas, so consider these poems as him working out the concept through poetry. The main theme of "The Lamb" is innocence. The repetition and the series of rhetorical questions create a childlike and innocent effect. The poem is designed to create an emotional effect rather than elicit answers. The exclamations questions contribute to the innocent mood of the poem, yet these questions are simultaneously philosophic as they question life's origin and the existence of a creator. The child's answer reveals the innocence and simplistic acceptance of Christian faith in children. The Lamb symbolizes Jesus, but it also represents children. There is a fusion of the Divine, Natural, and Human in the second stanza. God, the divine, became a child and the Lamb of the world. "The Tyger" is based upon the conventional idea that nature, much like a work of art, is a reflection of its creator. How can a tiger be so beautiful and so destructive, and what does this say about its creator? In more general terms, what does the undeniable existence of evil and violence in the world tell us about the nature of God, and what does it mean to live in a world where a being can at once contain both beauty and horror? The tiger becomes symbolic of an investigation into the presence of evil in this world. The fearful symmetry of this animal points to a very careful, and detail oriented creator. What then is the nature of a creator who can create the innocent man and the tiger with its capacity for violence? 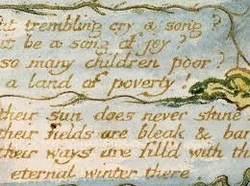 Both Songs of Innocence and Songs of Experience have a poem titled "Holy Thursday." Both are about Ascension Day, which is a religious holiday that falls forty days after Easter marking the ascension of Christ.